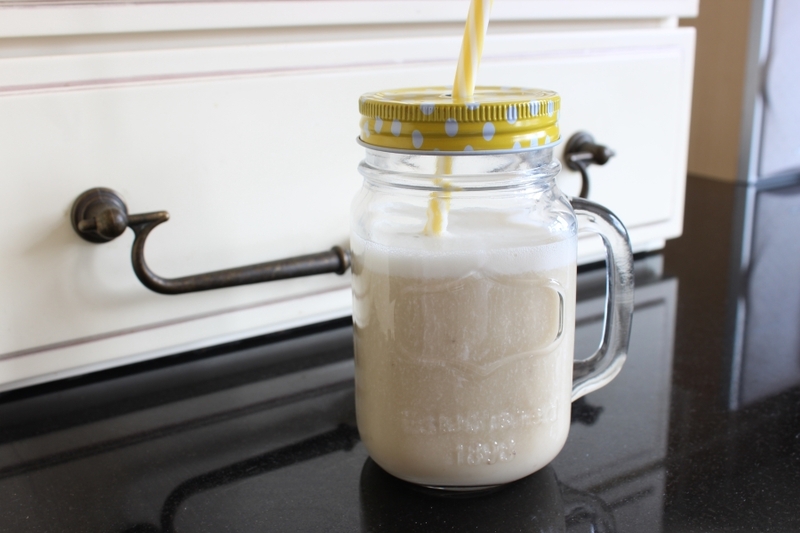 Searching for an alternative to banana milkshake for the kids? 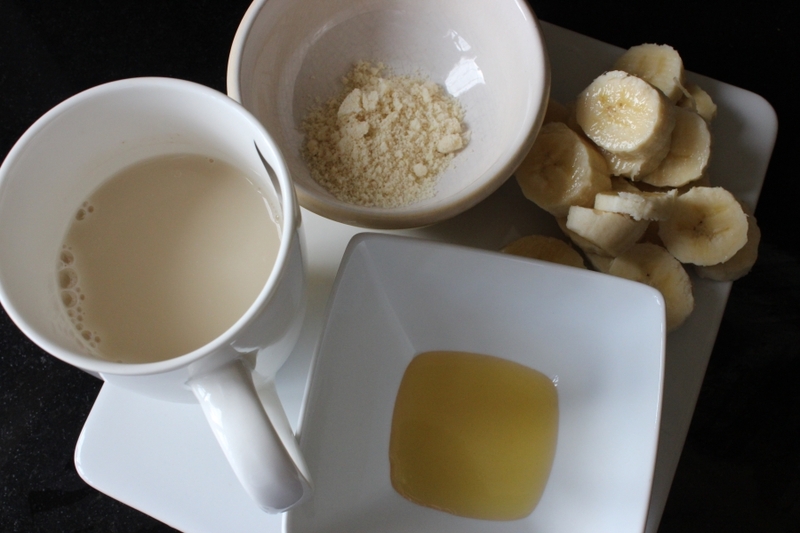 This Simple Banana Smoothie Recipe (with 4 nutritious ingredients) might be just what you’re looking for. Did you know that bananas are one of the most commonly eaten fruits in the world? In some countries more are consumed than oranges and apples combined (source). Strangely they aren’t hugely popular here at Chez Wright – we are more likely to eat an apple or an orange. With variety not just being the spice of life, but also very important when it comes to a daily diet I was determined to find a way to include a banana a day. And this is how I do it. Simply prepare your ingredients and add them to your blender. Blend for approximately 10 seconds or until the honey has dissolved. Pour into a cup or glass of your choice. Not only does the banana smoothie recipe contain all the goodness of the fruit, but by adding in almonds to the mix you get all of the nutritional benefits from the tree nut also. If you’d like to find out more here are 9 proven benefits of almonds. As for honey… in my opinion natures own sugar can’t be beaten as a sweetener. This banana smoothie recipe contains between approx 250-300 calories depending on the size of the banana. I’m currently calorie counting as am tracking my consumption on my fitbit. 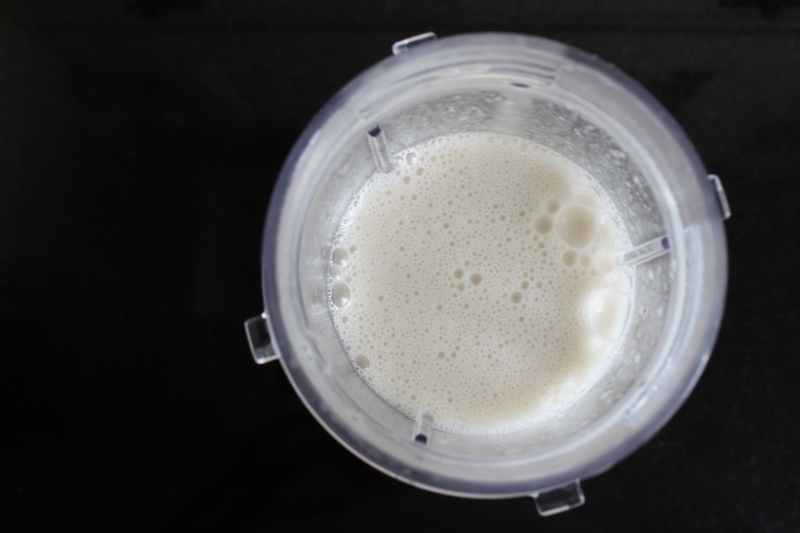 When you compare to a popular food-chains banana milkshake coming in at over 500 calories my banana smoothie recipe is a sensible alternative. Not only does it pack a significant nutritional punch, it could be half the amounts of calories, without compromising on taste. Now that’s what I call win-win. Fab idea. Love a smoothie ?